Exposed rafters and ornate windows provide a unique setting in the historic St Mark's building. 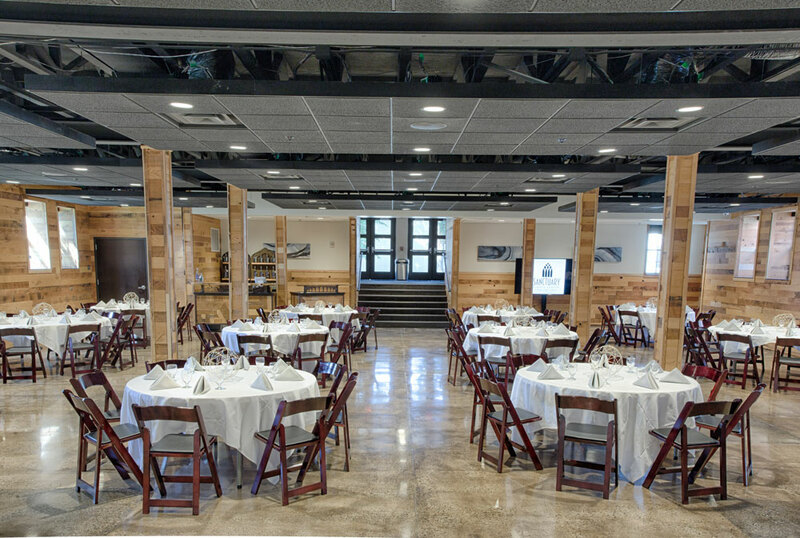 The event space can host up to 375 guests for a seated event. This space can be converted into a reception space for up to 600 standing guests. 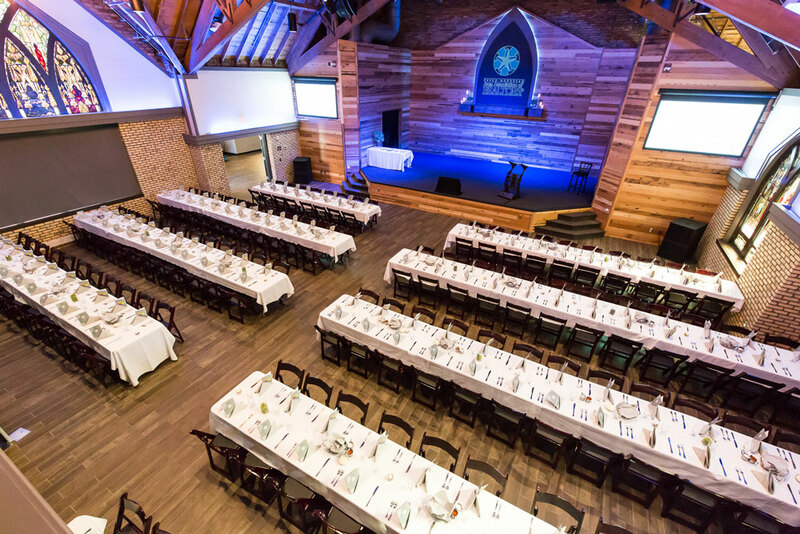 The stage in the Great Hall features over 600 square feet of entertainment or presentation space. All presenters, DJ’s & bands may plug into our house sound system. The Great Hall features 2 projector screens and built in projectors. An in-house technician is available for your event. Renovated private space below The Sanctuary featuring 10 ft. raised ceilings adjacent to a full-service catering kitchen. Lower Hall features 4 large flat screen TV's for presentations. Concert quality audio with the option to connect with Lower Hall. Wireless microphones & lavaliere microphones available included. Sanctuary Events Center is designed with fiber optic gigabit internet. An in-house audio technician is available for all events. New space for small events or meetings up to 80 guests. Hourly Rate: $100 (minimum of 2 hours). Click here to see pictures and get all the details on this intimate space. 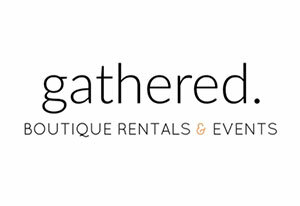 Fill out the form below for our complimentary Event Planning Guide. We’ll send you a full color brochure outlining all the options you have at the Sanctuary Events Center.